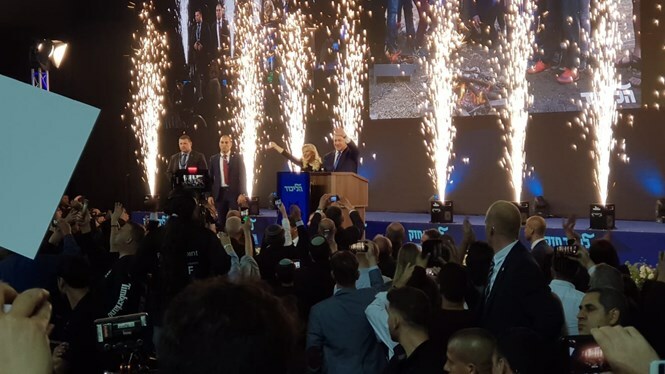 Prime Minister Binyamin Netanyahu arrived at the Likud headquarters in Tel Aviv on Tuesday night to celebrate with hundreds of activists. 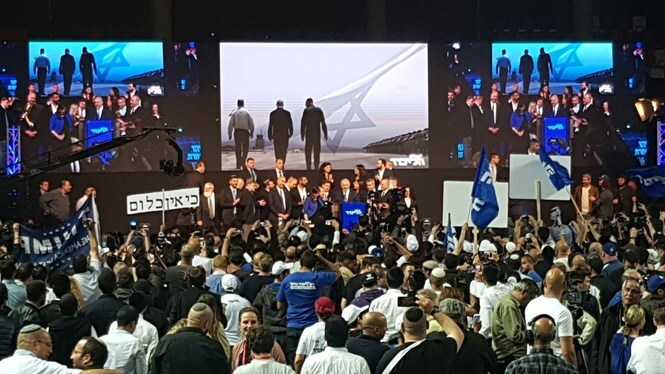 Exit polls give the Likud party between 33 and 35 seats with the right-wing bloc leading the way in the number of seats. 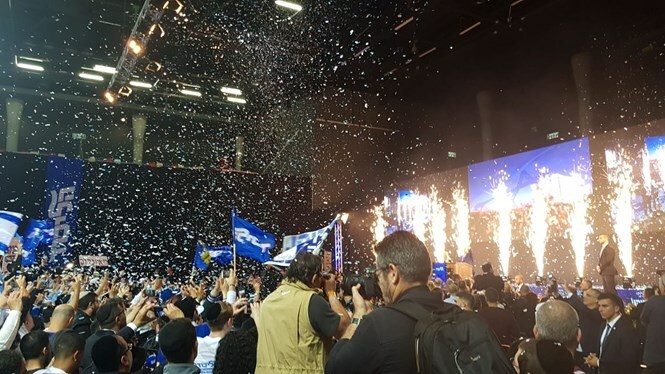 “You remember 23 years ago, it was the first time that Sara and I stood here, and here we are doing it again, thanks to you and for you!” he said. 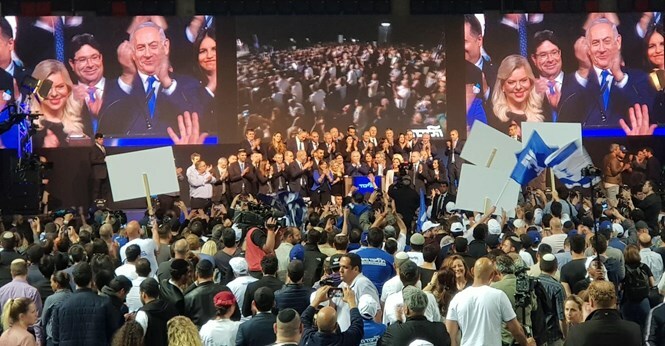 “It will be a right-wing government, but I intend to be the prime minister of all the citizens of Israel. Right and left, Jews and non-Jews alike. 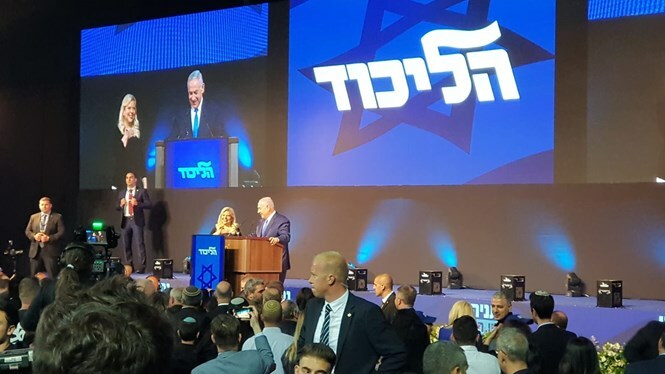 All the citizens of Israel,” he stressed. 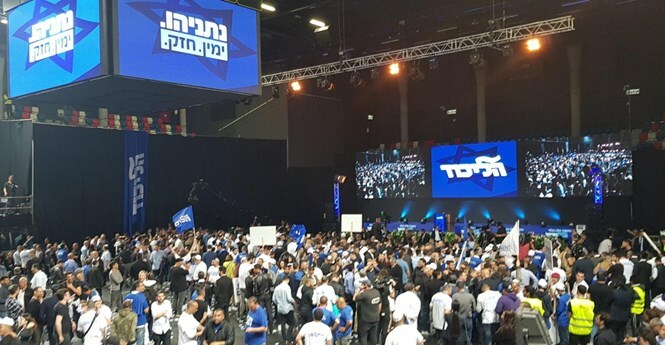 Over a million PA Arabs plan to leave Israel Arab media reports over 20,000 PA Arabs leave Israel each year, says numbers are growing.